Capt. 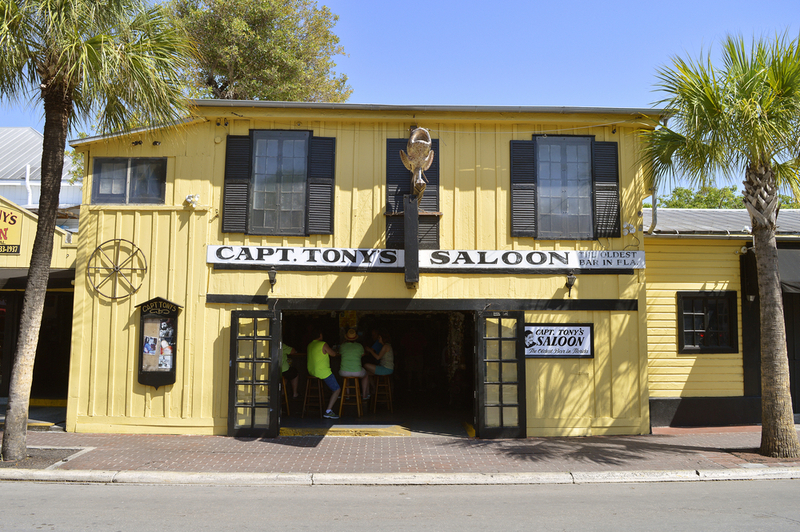 Tony is as much of a legend in Key West as his namesake saloon on Greene Street, which he opened in 1958. Known for his delightful storytelling, friendliness, and propensity to curse like a sailor, Capt. Tony – former mayor of Key West, bootlegger, fisherman, sailor, gambler, bar owner and father of 13 – was a Key West personality whose spirit has left an impression on the island. New Jersey native, Tony Tarracino found his way to Key West by accident (as most do) in the late 1940s after years of living the life of a gambler. While in the Garden State, Tony illegally produced and smuggled whiskey for money. Aside from running whiskey, he also ran a horse racing scheme with his brother. Eventually the mob caught up with Tony and delivered a proper beating. Tony took off and headed south. After hitching a ride aboard a milk truck, he found his way onto Duval Street. “I knew as soon as I got off that milk truck that Key West didn’t belong to the United States,” Tony said in A Key West Companion, a book written by Christopher Cox. After 10 years working as a charter boat captain and fisherman, Tony bought “Florida’s Oldest Bar” on Greene Street, also the original Sloppy Joe’s. He opened and ran Capt. Tony’s Saloon from 1958 until 1989. Today, the dive bar that retains its name is an oft-visited watering hole for tourists, drawn to the bar’s wacky history and famous “hanging tree” – stories which may or may not be entirely true. “Key West is an insane asylum. We're just too lazy to put up the walls or fences," he famously said. He said a lot of other things that we’ll leave you to find. As mayor, Tony helped to preserve Key West’s daily sunset celebration, which continues in Mallory Square to this day. Want to learn more about Capt. Tony? We suggest the “Life Lessons of a Legend” by Brad Manard. It was published in 2008, the same week that Tony died at the ripe old age of 92. Check out deals at 24 North Hotel, which offers free, hourly shuttle service to Old Town Key West.